Whether you're rushing to get to work, get the kids up, and/or make yourself some semblance of a breakfast, none of us really have a ton of time to primp and get ready for the day. 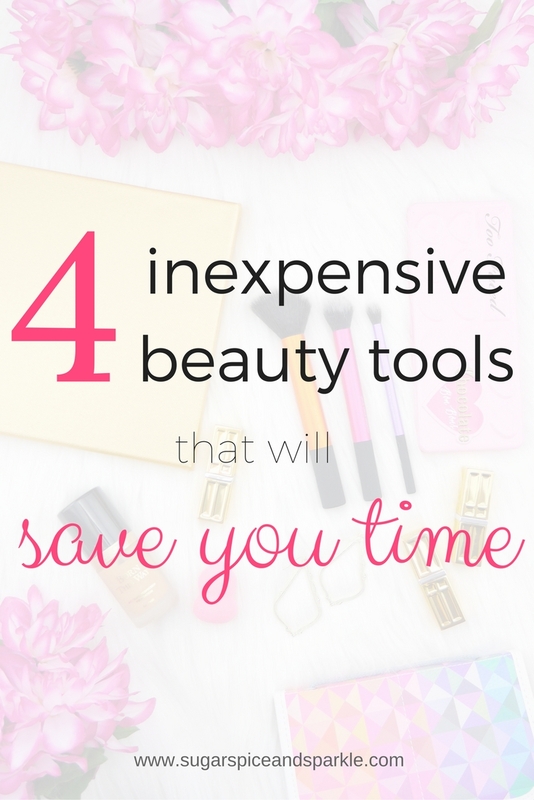 Here are 4 inexpensive beauty tools that will save you time! Note: This post contains affiliate links, this means if you purchase something I receive a small payment which helps keep Sugar Spice and Sparkle running! Thank you for your support! Who has time to coat their upper and lower lashes with 2 different mascaras a la Jaclyn Hill? Not I! 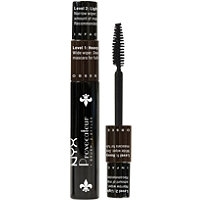 This mascara from NYX is super cool (and only $6!) - you un-screw it from the lower cap and use on top lashes, then un-screw it from the upper cap and it squeeeezes the brush through a tiny hole so you can get your lower lashes with crazy precision. Plus I absolutely love the formula of this mascara. It's not too wet so it doesn't get all over your eyelid and under eye but also doesn't clump at. all. This is one of the few mascara's I have actually repurchased. 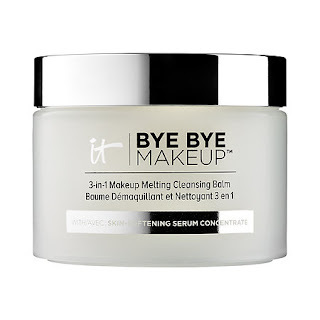 Maybe you've heard of a makeup melting cleansing balm before but I hadn't before this and let me tell you - it. is. magical. You guys - you rub this balm on your skin and can literally see your makeup melting away *gasp* magic I tell you - magic. At $38 this is not exactly inexpensive - BUT if you look at it as makeup remover + skin care in one (which it is because your skin has never felt softer after using this stuff) then you'll see the price is justified. Also it's a huge time saver and time is money as we all know. Did I mention it smells like oranges? If you're like me then when a product comes out on the scene and goes viral you are a total skeptic and swear it off immediately. #oops! Well eventually I have to give in, especially when said product is sold in metallic gold, and give it a try. Let me tell you - I will never use another brush again. The wet brush is so gentle on my head and reduces frizz so much! For me it still pulls out just as much hair as any other brush but somehow it's much less painful lol. If you are or have a girl with a sensitive head, try this, it makes detangling so much simpler! So ladies, I must know, what have you tried? Which one of these is your fav? What do you love that I need to try? Tell me in the comments below! It a huge fan of It products but something about the price of this makeup remover has kept me from buying it. Maybe I'll cave and buy it though since it seems to work so well! Look Chic, Be Comfortable - Major Sales!